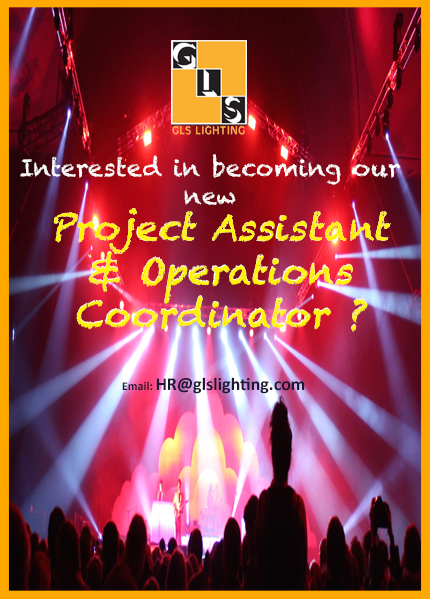 New Year, new look, new kit, and now new opportunities….GLS Lighting are hiring! We are looking for an enthusiastic, motivated and driven individual to join our Southampton team as Project Assistant & Operations Coordinator. You will be required to look after and coordinate vehicle movements, servicing regimes, crew allocations (both for onsite and for warehouse requirements) aswell as oversee collection and return of subhires and other day to day hire logistical requirements. Part of your job will also include Assisting our Project Managers with the finer points of paperwork, crew management and information packs. The closing date for completed applications is 5pm Wednesday 28th February 2018, so get in touch with HR@glslighting.com to fire over your CV and request an application pack.